Ceredase, a treatment for Gaucher's disease, gains FDA approval after seven years of work on the drug by Genzyme. First patients pay over $300,000 for the first year of treatment, making it one of the most expensive medications in the world. 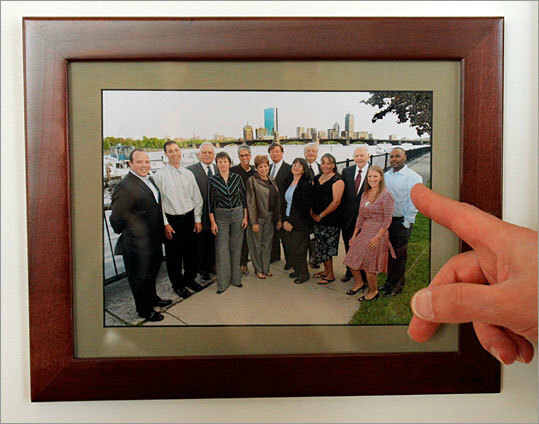 Pictured: A photo showing a reunion of nine of the original 12 participants in the Ceredase clinical trial hangs in Termeer's office.